Sealing plier is a kind of pliers, which is specially used for laser anti-fake digital seals, ordinary seals, and anti-fake seals. It is made of casting components, divided in three sizes, large, middle and small one. Various sealing plier letter head can be made. There is garment bag wrapped at the end to prevent the falling of electric shock and hands rubbing. 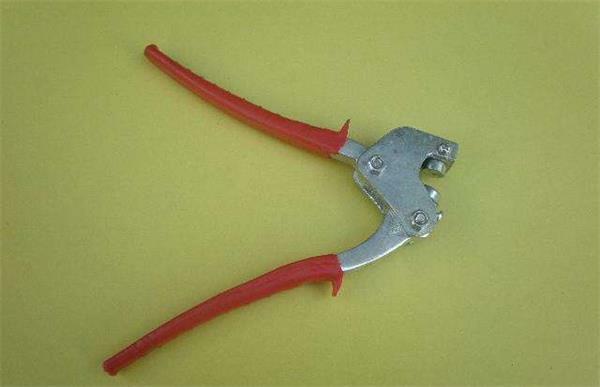 How to use sealing plier? How to use sealing plier when breaking cable seals, meter seals, and bolt seals? 1.Check the insulation of handle is good when using. With electricity is not allowed to operate so as to void electric shock event. 2.When using plier to cut the wire with electricity, conduct single line and not allow to cut at least two lines of wires at the same time so as to void there is short circuit among phase lines or between phase line and null line. 3.When using plier, plier surface should be at one side of operator so as to control the cutting position. Plier head is not allowed to replace hammer as the hitting tool so as to void deformation. 4.The metal part between hand and sealing plier at operation with electricity should keep at least 50px distance so as to prevent electric shock event. The activity part of plier should add lubricant frequently so as to prevent the flexibility of closing and open.